Everyone starts as a standard writer. The articles requested by the clients are listed out with special instructions for each assignment. The finished articles are approved or rejected. The client gives a rating to the writer from one-five. The good writers try to get five out of five for all their writing assignments. The prevailing rate for a 500 word article is $2.43. 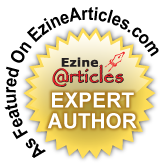 Once a standard writer accumulates 30 reviews he becomes eligible for promotion to premium writer or elite writer. If the rating after 30 reviews is more than or equal to 4.0 but less than 4.6 the standard writer is elevated to premium writer, where he gets paid more. For a 500 word article he stands to get paid $4.05. If the rating of a standard writer is more than or equal to 4.6 he is promoted to elite writer status immediately. Everyone aspires to be an elite writer because the payment for a 500 word article is from $8 to $15. (i) After completing registration the writer can go to his writing assignments at once. There are no tests or quiz test to test your English ability. (ii) As premium and elite writers get paid more there is always incentive to write better quality content. The better you write the more you get paid. (iii) The writer can see the approval rate of a client who has requested an article. If the approval rate is poor he can choose to write for someone with a higher approval rate. (iv) The writer has the choice of choosing the payment schedule- weekly, bi-monthly or monthly. (v) Good content can sometimes be rewarded with a tip of 1-10 $, over and above the specified rates. (vi) The writer does not have to place a bid with a lower quotation to bag the writing work. The rates are already there and he has to apply for it and get started. (vii) The rejected articles are yours to use as you see fit. It does not become the property of the client who has rejected it. Thanks Uday for this informative post. I am, too, looking for a good opportunity to work as a freelancer and devote significant time to my interests and passion. I think iwriter is good to begin with. you will have to come up with 30 reviewed articles to be rnaked as a premium or better , elite writer. All the best! Take care to choose the requesters carefully. Those who have poor ratings, avoid them.